Mozilla: Firefox OS tablet is on the way "ASAP"
Chief Technology Officer for Mozilla, Brendan Eich says that a tablet based on the new Firefox OS will be coming soon, but, true to form of anyone making forward looking statements, did not say when “soon” actually is. 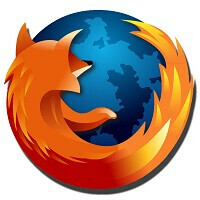 Mozilla has partnered with Foxconn to build some Firefox OS equipment and Foxconn is in the process of hiring thousands of software engineers to develop HTML5 applications for Firefox. My thoughts exactly. I don't see Firefox having much for offline.